Flights: Fly in to Manchester Airport and get to the venue by Taxi or Bus. Or fly into Birmingham and get a direct train from Birmingham International straight to Stockport. 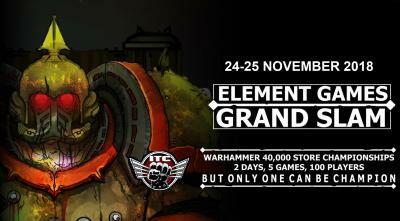 Please email events@elementgames.co.uk if you need advice about flying in from abroad. If you discover you can't attend Element Games can process a refund for you if you email us before 12 noon 26th October 2018. Please email support@elementgames.co.uk .